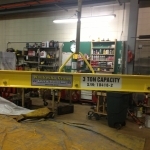 Waukesha Crane Sales & Service, Inc provides sales and service for most brands of hoists and over-bridge crane systems. Our focus is to assist you in determining the best solution for your material handling requirements. We also provide repair services, including replacement parts and components. Based in Milwaukee, Wisconsin our certified crane technicians provide unbeatable service, handling every detail of an overhead bridge crane system. 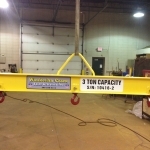 Waukesha Crane manufactures every crane right at our shop in Waukesha, and has the in-house skilled personnel and gear to transport the cranes exactly where you need them, performing 100% of the installation. 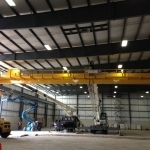 While one of our many specialties is the manufacturing and installation of industrial overhead cranes, primarily double girder cranes up to 65 feet, there is no task of which our crane installation experts can’t perform. A 500 ton crane install? No sweat. Waukesha Crane takes an enormous amount of pride in meticulously completing every job the right way by being on time and on budget. 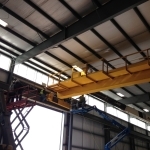 Our overhead bridge crane services go beyond Wisconsin, completing jobs in Chicago, Illinois and anywhere else in the Midwest. Our skilled crane professionals are available 24 hours a day, 7 days a week because we know you absolutely cannot rest while your material handling ability is down. 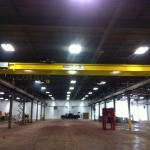 For complete overhead bridge crane systems, there is only Waukesha Crane. 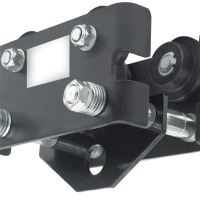 By exclusively offering superior crane parts and accessories, we guarantee your success. This is why our inventory of crane equipment ships anywhere in the United States. 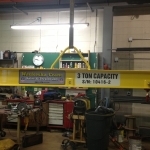 Getting your metal fabrication shop, paper mill, or machine shop running more efficiently is easily accomplished with an electric chain hoist or trolley from Waukesha Crane. 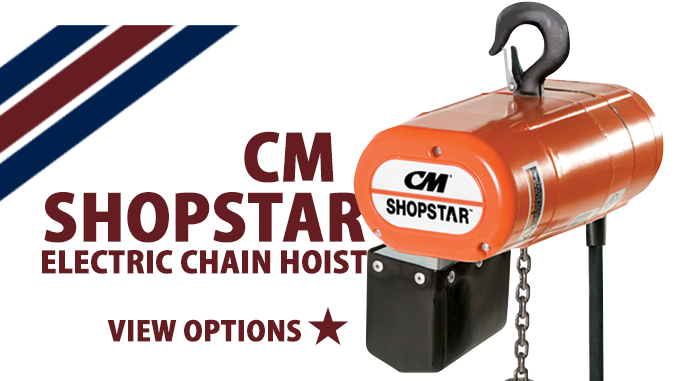 Lifting heavy loads all day long or simply dealing with repeated small lift jobs are two distinct needs requiring different hoists. 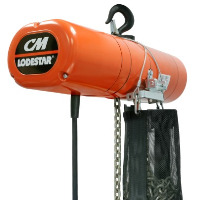 From the heavy duty CM Man Guard to the smaller, equally efficient Coffing JLC, we have a variety of electric chain hoists for any job. Waukesha Crane goes a step further than selling the hoists and trolleys you need – we install and repair new and existing crane parts, then train your employees on how to operate them for maximum efficiency and safety. 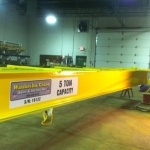 Since our inventory is strongly specialized for industry professionals and shops (as well as individuals), Waukesha Crane is one of the select dealers who offer products from Columbus McKinnon (CM). Reality is we stock much more than just electric chain hoists and trolleys. 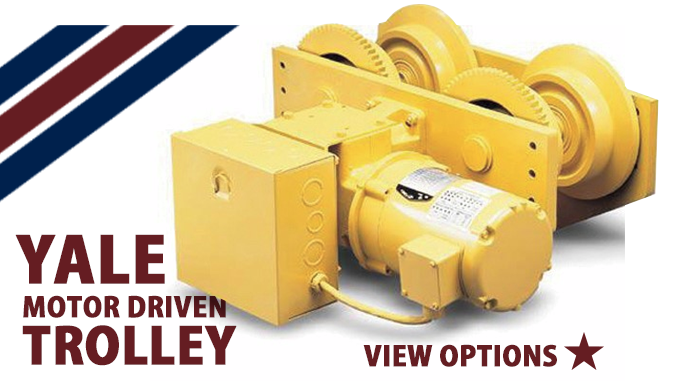 A skilled crane professional is ready with special part orders for all of your crane equipment needs. 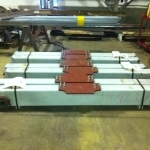 For every industrial crane-related need, Waukesha Crane supplies the product. Waukesha Crane Sales & Service, Inc. performs your OSHA Safety Inspections to ensure optimal safety and performance. When your operation needs our services we have an inspector ready to certify you. One of our many goals is to help you avoid costly fines. The busiest workplaces in Wisconsin handle large orders and absolutely must move product and materials quickly and efficiently. What you see as a thriving business providing top notch service, OSHA sees as a disaster waiting to happen. The purpose of Waukesha Crane’s OSHA safety inspections is to save you time and money. We’re available to go through your business and inspect all your hoists and cranes to make sure they are up to OSHA standards. If anything is wrong, we can fix the problem so you continue on with an optimal work environment. Be sure to check out our complete range of other crane services, offered by the one and only Waukesha Crane. For crane sales and service which are TRULY superior, look no further. 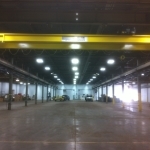 Contact the overhead bridge crane experts at Waukesha Crane for sales, service, repairs, and more.